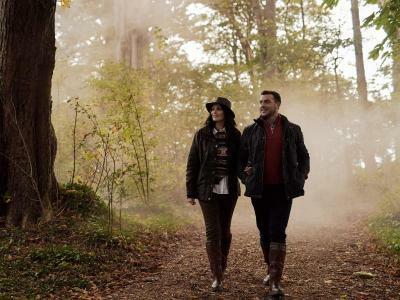 Whether you’re marking a special day or just finding a way to make the everyday extraordinary, this time at Adare Manor is designed to be a celebration of life’s loveliest moments. With a bottle of champagne to share on arrival, three peaceful and pampering nights in one of our indulgent Deluxe Rooms, time to linger each morning over an elegant breakfast in The Gallery, every experience here stands out as something to cherish. As the crowning glory of your stay with us, share dinner by candlelight in our world-class Oak Room Restaurant, where Head Chef Michael Tweedie has prepared a seasonal menu featuring innovative Irish fine cuisine at its very best.